While we create a sheltered environment we are also firmly grounded in society. A free flow of interaction is vital to uplift society and remove misconceptions and taboos. Outsiders are invited to become supporters. Parents, community leaders and others visit and interact with office bearers and address issues related to children, education, and other community matters. 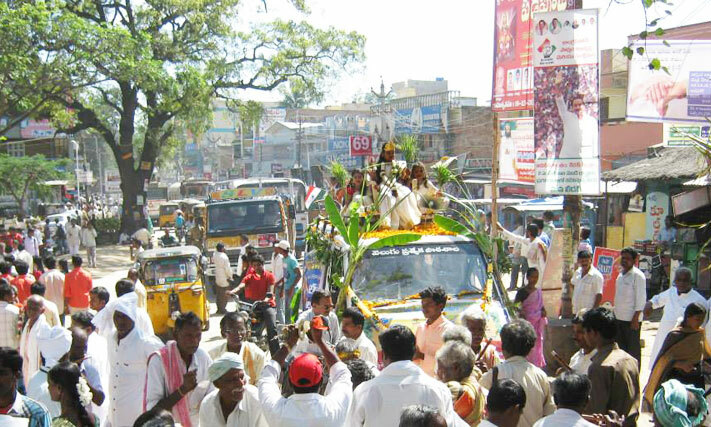 Velugu’s children and women seniors stay connected with the world at large, sometimes participating in community events. This exposure is crucial to make the children grow in independence and self reliance, confident enough to find their place in the sun. Late Ms. P. Padmaja and Mr. M. Uday Mohan Reddy were shocked at the plight and the conditions that the disabled children and aged women found themselves in. They counseled the families of those affected about the need and necessity to take care of these children and aged women. They found that most families were reluctant to come forward and shoulder that responsibility. Our initiatives to overcome some of these social problems and change mindsets have borne results. Impressed by the Society’s dedicated services and commitment, the local population has come to regard us as a referral centre and respect our voice.